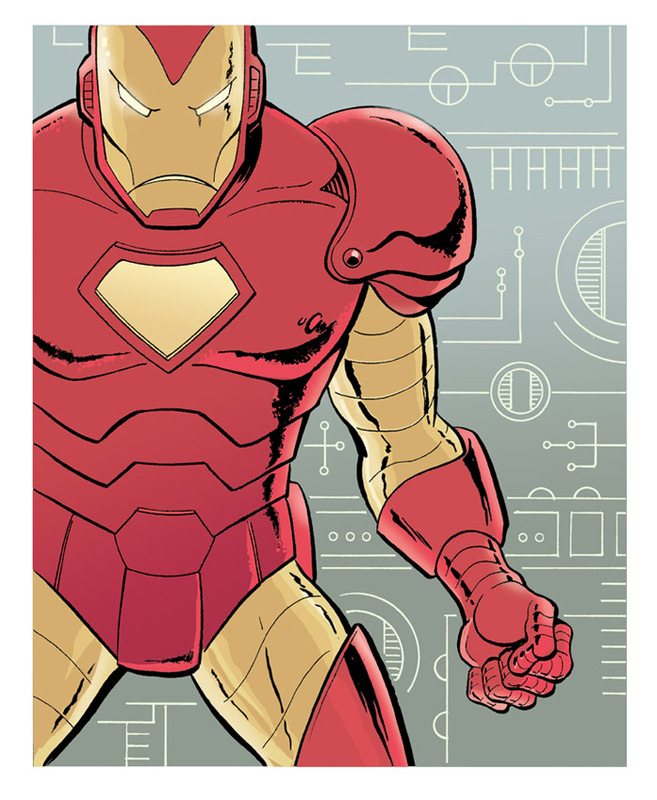 To start the New Year with a little bit of swing, I’m offering some of my superhero art prints online for the very first time. In January I’ll be listing individual large color prints on my regular Ebay collectables page, stay tuned for more offerings…. Many of these items have never been sold online until now and has been available only through comic convention appearances – only a few of these will be offered for collectors this year! 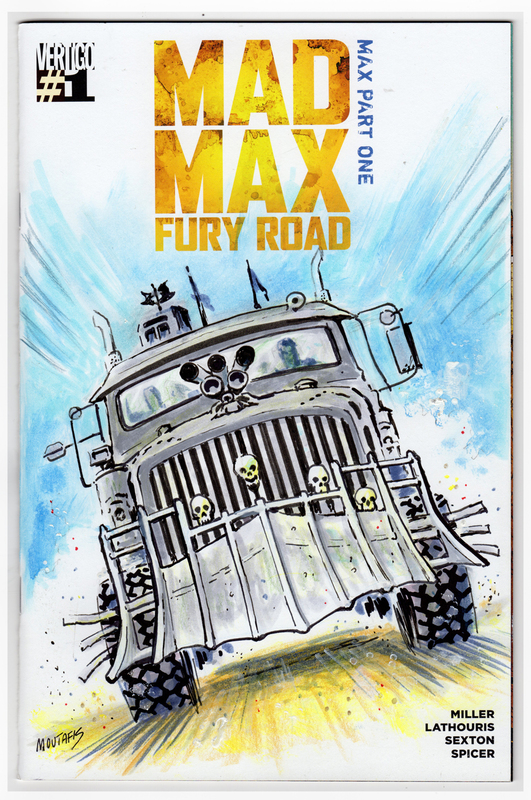 A recent commission inspired by the latest Mad Max film. Ink, acrylic, and color marker. If you’re in northern New England, come up and visit this mighty one-day indie comics show! I’ll be set up at table 47 with my newest comic stories and artsy stuff…. 11×17 bristol color recreation/commission for collector Bert Simmons. 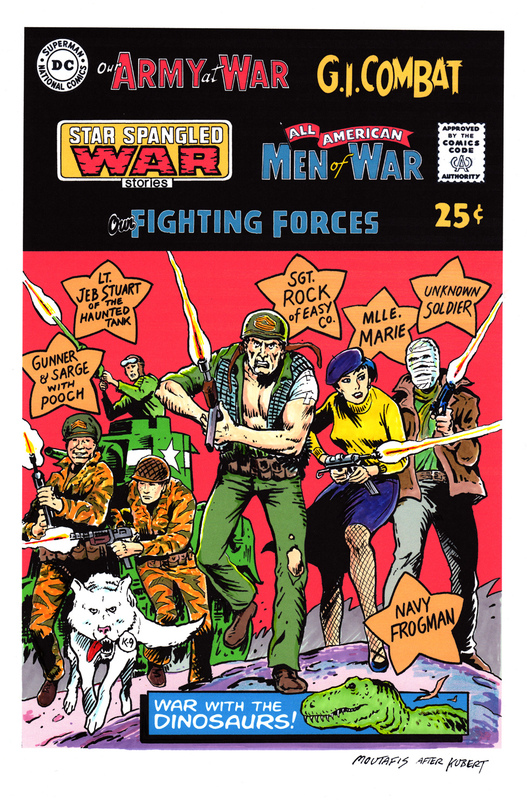 Based on the original Joe Kubert cover for Our Army At War #164 80 page giant special. Representing DC’s major war heroes and titles, swapping in the 5 major series logos plus new art for the Unknown Soldier and the dinosaur action from the War That Time Forgot. Hand drawn characters/cover art. Computer work for logos and text elements. If you’re in the Cambridge area, come down and enjoy this weekend indie comics show! I’ll be set up at table A61 with my newest comic stories and artsy stuff…. Summer 2012 group of unique sketch covers, for A vs X issue 1 – Ink and blue pencil tones. Featuring the women of Marvel: Spider-Woman, Rogue, Valkyrie, and Emma Frost.